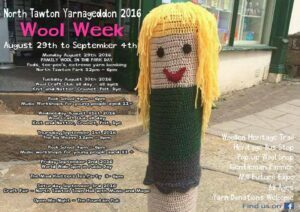 Wool Week North Tawton Yarnageddon 2016 family fun packed events taking place initially at North Tawton Memorial Park from Bank Holiday Monday 29 August to Sunday 4 September 2016. 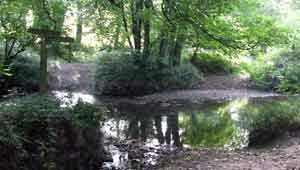 Family Wool in the Park Day from 12:00 pm to 6:00 pm on Monday 29 August 2016 with Pods, Tee-Pees and Extreme Yarn Bombing. Rock School Musical Workshops for young people age 11 years plus on Tuesday 30 August and Thursday 1 September 2016. 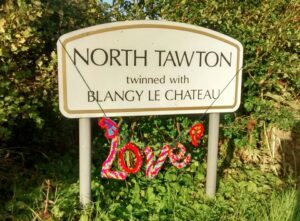 So much so, local musician Rex White aka Fretmeister was inspired to write a song after enjoying the cheerful yarn bombing appearances throughout North Tawton small rural town. 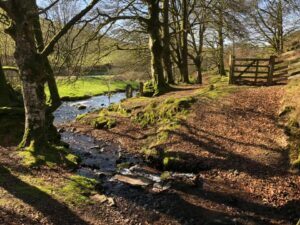 Listen to North Tawton wool yarn.